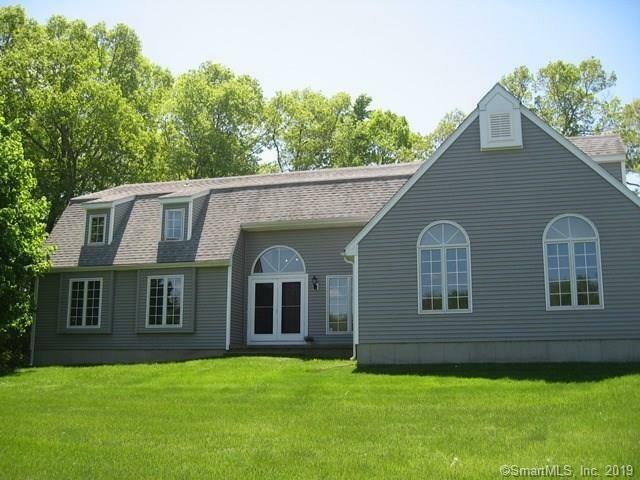 Sun filled beautiful, spacious (3559 square feet) colonial with contemporary flair. Open floor plan, high ceilings. 4 Bdr,3.5 Baths. Enter the elegant 2 story foyer and proceed to the beautiful, spacious 25x23,l shaped living room with a fireplace and 2 story ceiling and a wall of glass. Enjoy the sun filled 12x12 dining room, 28x14 eat-in kitchen with an island. Main level master bedroom with luxurious bath and walk in closet. Main level 12x11 den/study. First floor laundry, mud room with access to level back yard. Gleaming hardwood floors on main level. Second floor includes 3 large bedrooms and another full bath. Spacious 18x10 loft, sitting area, expandable attic space is located on this level as well. Neighborhood setting on a cul-d'sac. Easy access to highways and shopping. A must see!!! !